"The location is good,near the beach"
Have a question for POP! Hotel Kuta Beach? "still this hotel have a cozy and comfort place"
"Big parking slot, clean room, friendly staf." "Staff service is fantastic, friendly and professional." Only 300m from the famous Kuta Beach, POP! 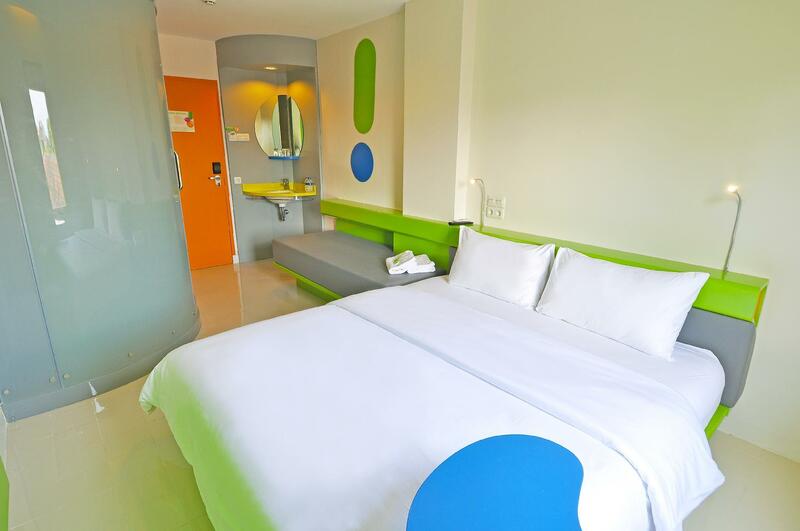 Hotel Kuta Beach provides modern and fun accommodations with free Wi-Fi in all areas. It has an outdoor swimming pool which is accompanied by a pool bar. This smoke-free property also features a 24-hour mart for simple and instant groceries. Despite being located in a quiet area, POP! Hotel Kuta Beach is at the heart of the action and provides easy access to popular tourist areas such as the Kuta Art Market, Beachwalk Mall and Sky Garden Bali. The property is a 15-minute walk from Discovery Shopping Mall and the Waterbom Water Theme Park. Legian’s shopping and nightlife area is also a 5-minute walk away, while Ngurah Rai International Airport is a 15-minute drive from the property. All rooms at POP! Hotel Kuta Beach are air-conditioned and have a flat-screen satellite TV. They have comfortable double or twin beds, a safe, a sofa bed and a unique private bathroom. Free toiletries and bottled water are provided for guests’ convenience. Daily housekeeping will ensure that your room is refreshed every day, and 24 hours front desk will make sure all your needs are catered for. Our property also provides (for additional cost), taxi service, airport shuttle, motorbike rental, Bali tours and many more. "Nice hotel , good location and value for money"
Located in the small alley and during the night quite creepy to walk alone especially for lady. The toilet and hot water please. Thanks. The location is quite near to the beach and legian street. Only a walking distance around 5 minutes to both location. The room, despite of not too large, is very neat and comfortable. The staffs are very friendly, helpful and accommodating. The price is achievable for budget traveler. Wish to come back to the place when visiting Bali. Hotel masuk kedalam jalan yg cukup kecil dan berkelok dari jalan raya. Untuk ke pantai perlu jalan kaki cukup lamanya 15menit untuk orang tua. Bagusnya disediakan breakfast yg bisa dipesan sehari sebelumnya, sehingga tidak perlu sering2 keluar hotel. Kamar memang kecil seperti biasa ukuran POP dimanapun, tapi kamar rapih bersih dan kamar mandi spt biasa airnya deras yg saya suka. The hotel lies in a one -car-wide alley, but it has such a big parking space, enough for around 15 cars, even more i bet. It's in between the Legian Street and Pantai Kuta Street. Beachwalk and the Bombing Museum are just few minutes of walking. Pool was clean, room also. The room's not that big, but quite enough tho. Internet's great. Staffs were friendly. And other important thing, it's super affordable. The staff was lovely and always very helpful. Every day my room was cleaned the facilities were nice. Very good value for money. Perhaps the hotel would do well to check the rooms for things needing repair. My first room the toilet has a leak and the seat is in need of repair. The second room I had on my subsequent visit the window shade would not stay closed and the shower nozzle would not stay in the holder. Not big enough problems for bad review or to complain to desk but just an indicator that perhaps the hotel should check rooms carefully for small items that could be in need of update and repair. These small issues are not enough for me to give a bad review and I would absolutely stay here again. This hotel location is the just walking distance to the famous Kuta beach. 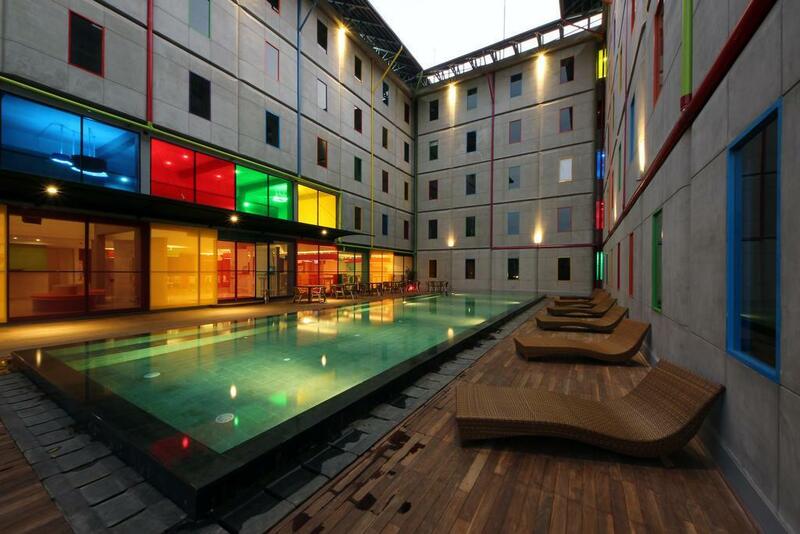 Equipped with swimming pool makes this hotel even more comfortable to stay in. The rates is reasonable, what you get is what you paid. if we are talking about its location, yes it is nice. but to reach the hotel's location? it isn't nice. but if just walking or by riding bike, it is easy. but if you are driving private car? that's the problem, because we must enter the narrow aisle with a lot of bikes and even cars come to our direction. POP! Hotel has been a 'go to' for us while traveling Indonesia. We are always happy to see one when we enter a new island or region and more happy to make a reservation. My only critique is the shower and the AC. They both work well, but not great. The water gets warm, but not hot (my experience only with the two hotels I have stayed,) and the AC gets cool but never really cold. It is still bearable to sleep, but I would much rather prefer a cold room. All in all, I recommend this hotel for any travelers. Their rates are incredible for what they offer. Stay here for 4 nights.. Overall satisfied with the room.. the bed is comfort and value for money.. Will come again and stay here in future.. Suggestion: Maybe the hotel management can add on the facilities "bicycle for rent" for the hotel guests.. easy for the guest to go around the beach area with the bicycle.. The location is so strategic, I got cheapest rate from AGoda compared to other OTA. The room is moderately large for typically budget hotel. It was surprissed when can enjoy breakfast like in an airplane (with many options), not only just Nasi Jinggo again. Although it is located in Poppies area which is so noise, but I can sleep well and had very nice rest after explored Bali. 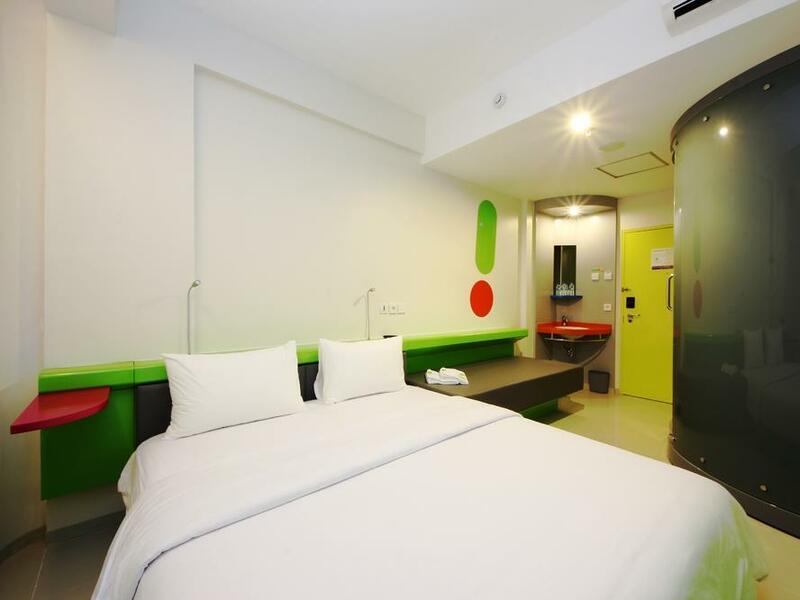 Best budget hotel near Kuta beach. This time they had better breakfast with the same cost. I used to stay here when I traveled to Bali, and I would definitely comeback. It's a budget hotel, though I hate the small capsule shower room, I could accept it given the price and the location. Keep the good job! It is a very pleasant stay in Pop Hotel Kuta, it s near the beach, with very clean hotel, the staff are very help full, the only thing that need to be revised is that the pool only open until 21:00, if it can be 24 hour it will be more nicer. It's a great location hotel- clean and functional. We wanted a place to just drop our bags and valuables and head for a day at the beach. So worked out just fine. Beach is a few minutes walk, can get to Hard Rock for a sunset view or just roam around Legian. May not be suitable if you want a romantic getaway, need lots of room and/or have kids. For me, it was worth to stay here. The location is okay. The staffs are lovely. However, the rooms need some improvements, especially the ceilings. there are water leakages throughout the rooms. Furthermore, I think the bed needs new sheets since there are too many stain on the sheets, which i think can't be cleaned anymore. Overall it was still a pleasant stay. Thank You! Everything is good but it's just that the small toilet is a little uncomfortable especially when you are staying for more than 1 night. All the other things provided are worth your money; location, facilities and comfyness. for this price, the room is good enough. room is getting old but still clean. very close to the beach. im driving a car so it's not so easy to reach the hotel through small streets. its better to come by bike. Room and sheets were smelly and damp. Stayed in first floor next to the pool but can't open the windows as people can easily see through. Maybe higher floors are better but you get what you pay with this place. nice location few minutes walk to kuta beach and legian area. love the colorful interiors. nice pool area too. room cleaning done daily with new set of towels, tissue and mineral water. a mineral water with hot and cold dispenser is provided in each floor. breakfast option is plated or buffet. will definitely stay again. just suggestion only pls. provide more mirrors on rooms and improve the bidet for more covenient usage. thank you!